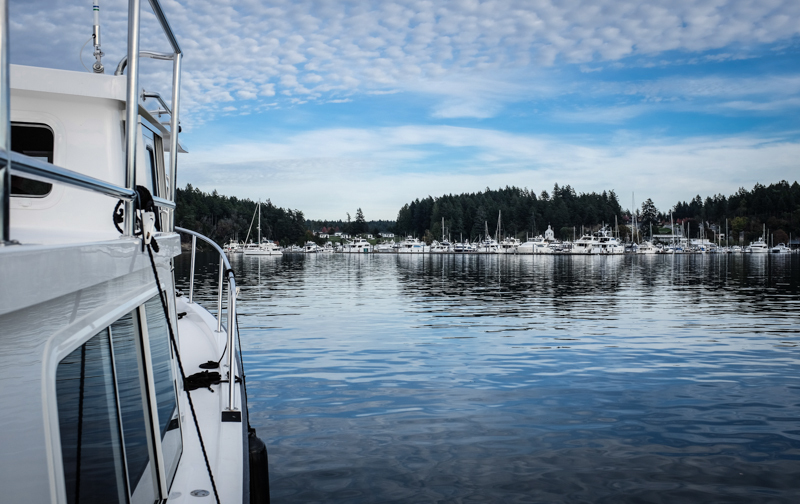 Today after we finished up with some of the more important work stuff, we left West Bay Resort on Orcas and headed to Stuart Island to check out Prevost Harbor. 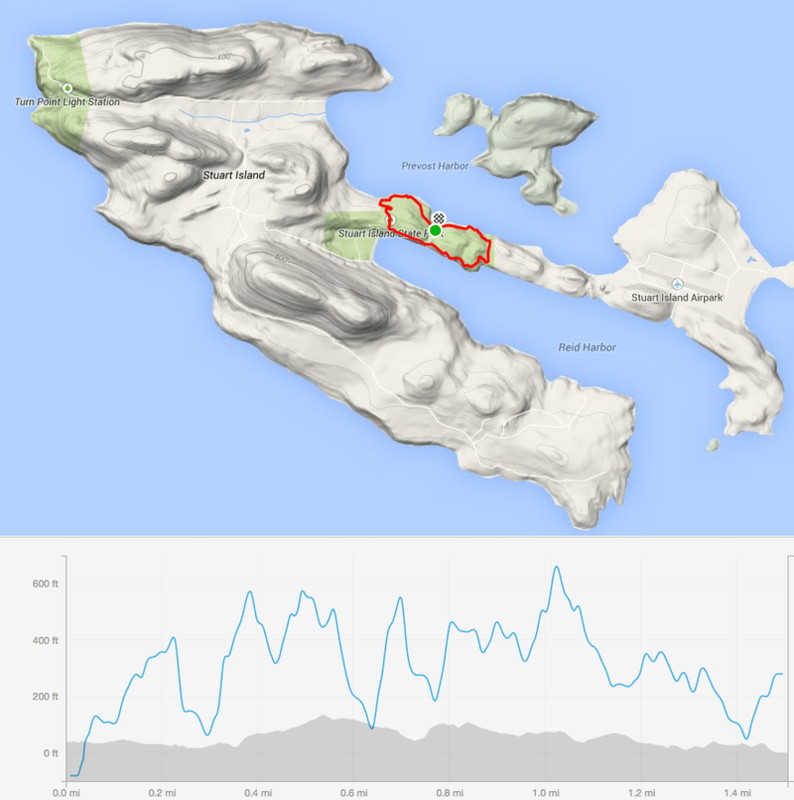 We figured we wouldn't have good service there so our plan was to just stop for lunch and a hike and then head to Roche Harbor on San Juan Island. The weather has been amazing. It's October! We decided to moor at the dock in Prevost Harbor on Stuart Island and I made us some lunch that we ate out on the dockside picnic table. 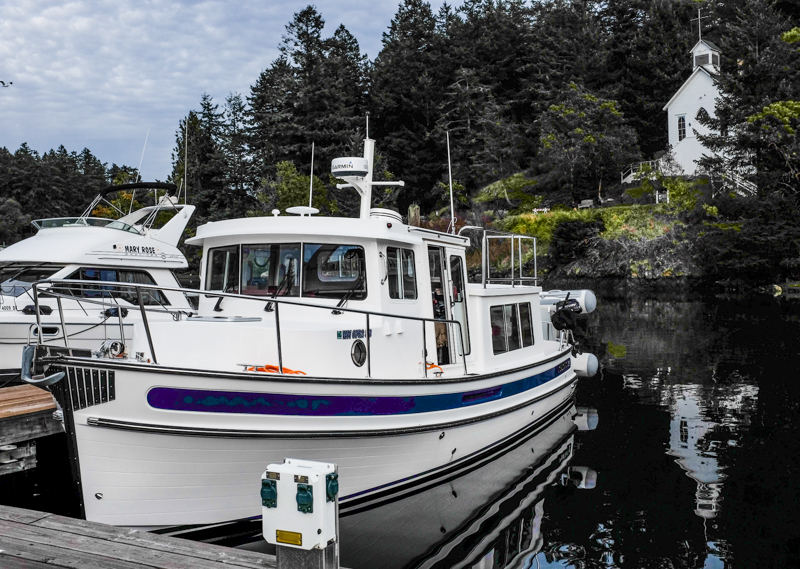 After our hike, we left Prevost Harbor and headed for Roche Harbor. 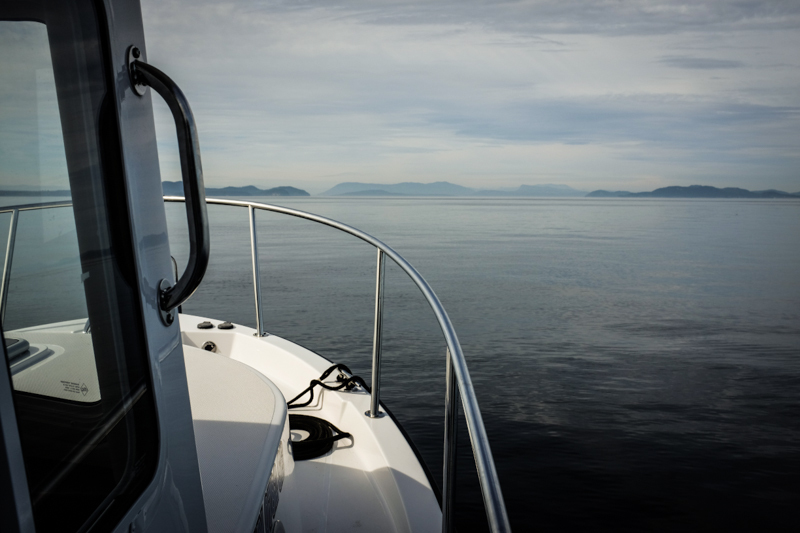 Coming into the marina for overnight "camping" is a little different (at least up here) from arriving at a campground. 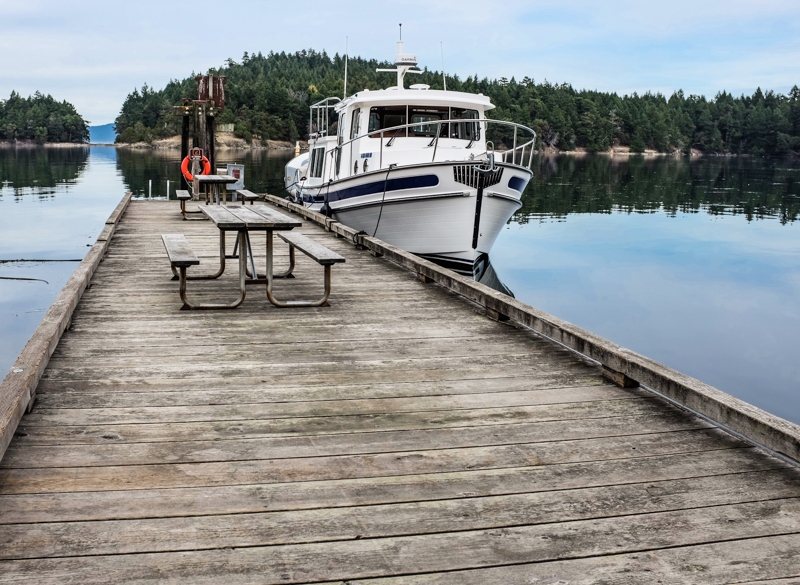 You call in (either by cell phone, or on the specified VHF channel) and tell them your boat name and how long you are, and they'll give you a slip assignment or, in this case, tell you where the guest dock is and to pick a slip in the 30s or higher. We went all the way in (after one "small boat psych" when I got all nicely set up to maneuver into a slip only to find that there was already a tiny boat in there, bah!) and we found a nice slip right near all the action. 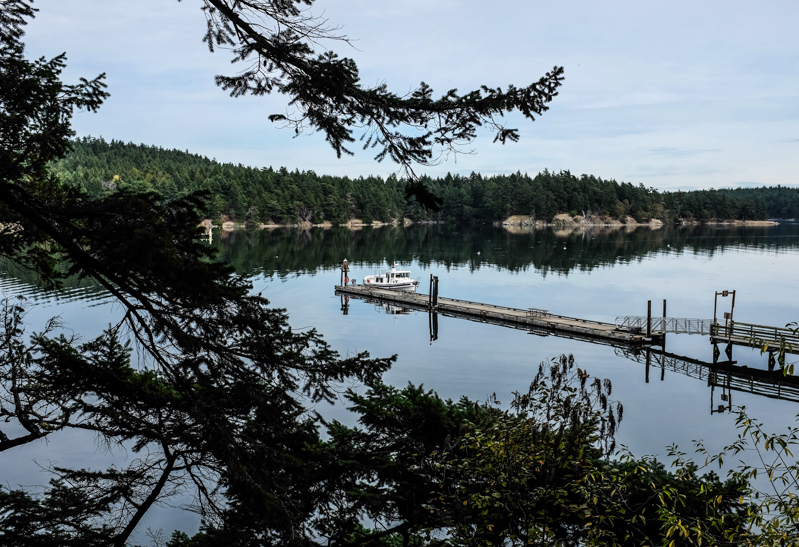 The story of Roche Harbor began nearly 200 years ago in 1787 when Captain de Haro and his crew became the first Europeans to sail among the forested San Juan Islands. 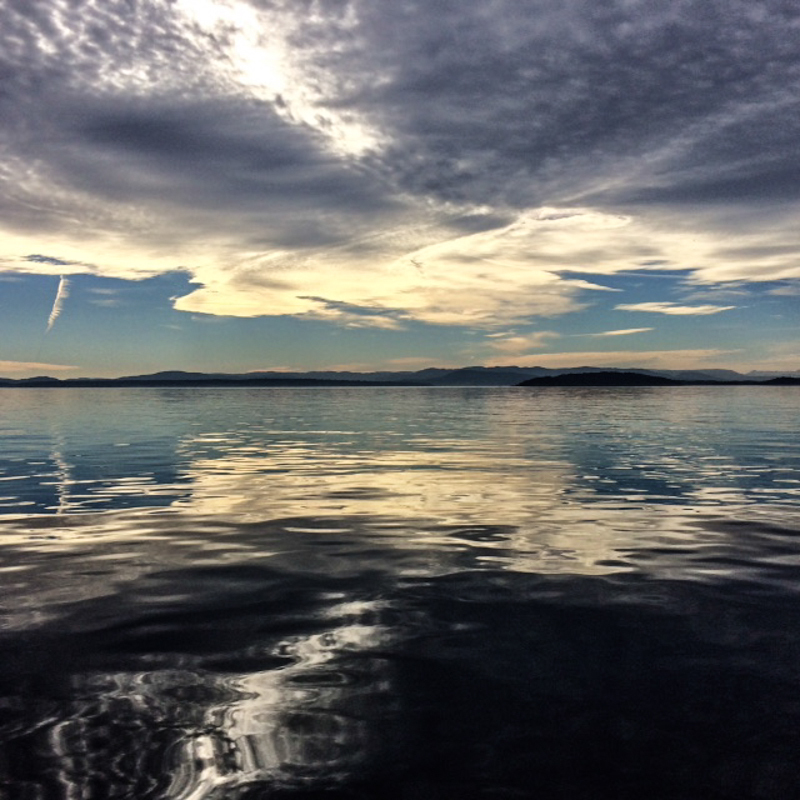 The Haro Strait, which divides the United States from Vancouver Island, derives its name from this Spanish explorer. 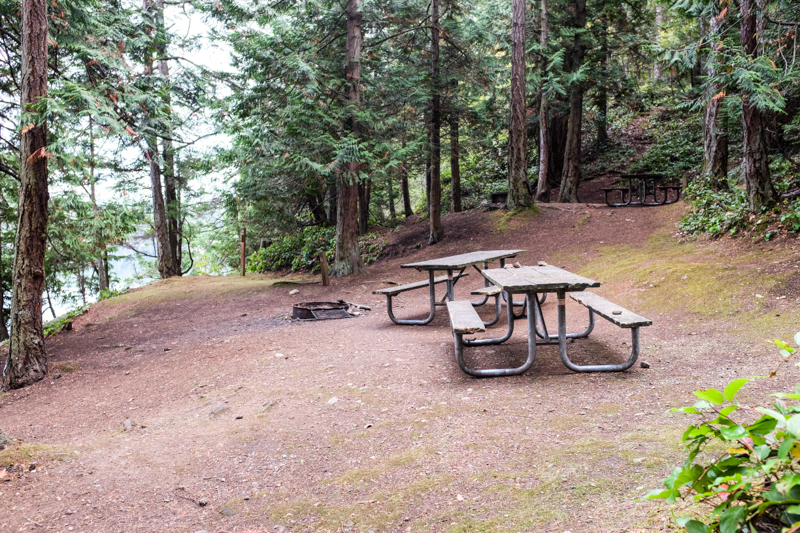 In 1845, four years before the California Gold Rush, the Hudson's Bay Company posted a notice of possession on San Juan Island and built a log trading post at the head of Roche Harbor on the northwest shoulder of the island. 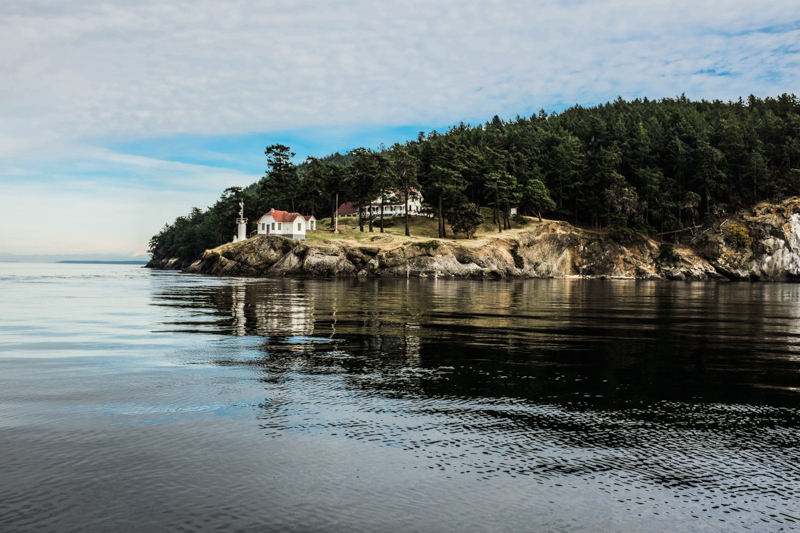 The British traders and settlers were not the only people interested in the San Juan Islands; American settlers moving west were also in search of land. By 1857, three years before Civil War, both the United States and Britain were claiming the San Juan Islands and a dispute arose over the western end of the boundary between British and American territory. The dispute lay dormant during the Civil War, but by 1871 the United States and Great Britain selected Germany's Kaiser Wilhelm to arbitrate the dispute. In 1872 Wilhelm awarded possession of the San Juan Islands to the United States. During the dispute, known as the "Pig War," and joint occupancy by both American and British soldiers, lime deposits were discovered along the ridge above the harbor. In predictable military fashion, Lieutenant Roche, commander of the Royal Marines, and in whose honor the harbor was named, sought to keep his garrison troops busy by having them quarry and burn the limestone. Lime was a major necessity in the production of steel, plaster, cement and paper, and was shipped worldwide from Roche Harbor. 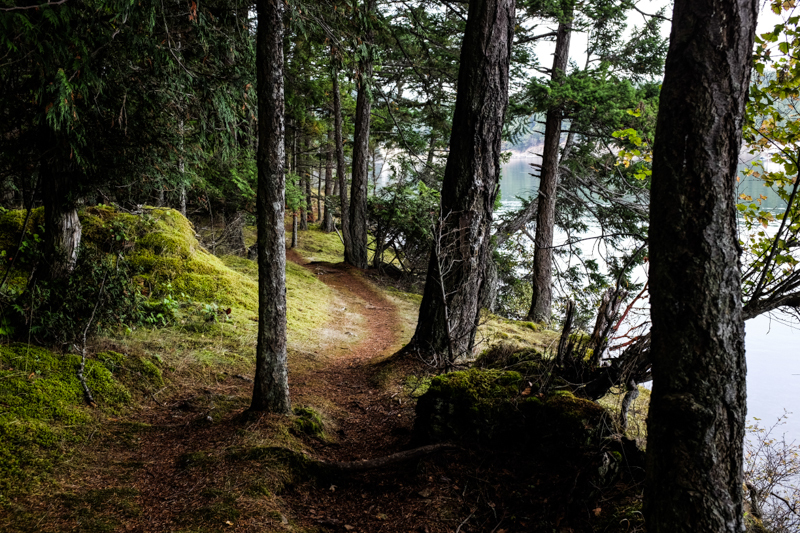 After the war ended peacefully, and a few days after the British withdrawal, a man named Joe Ruff took out a pre-emption claim on the land around Roche Harbor, but did nothing with it in the way of extracting lime. 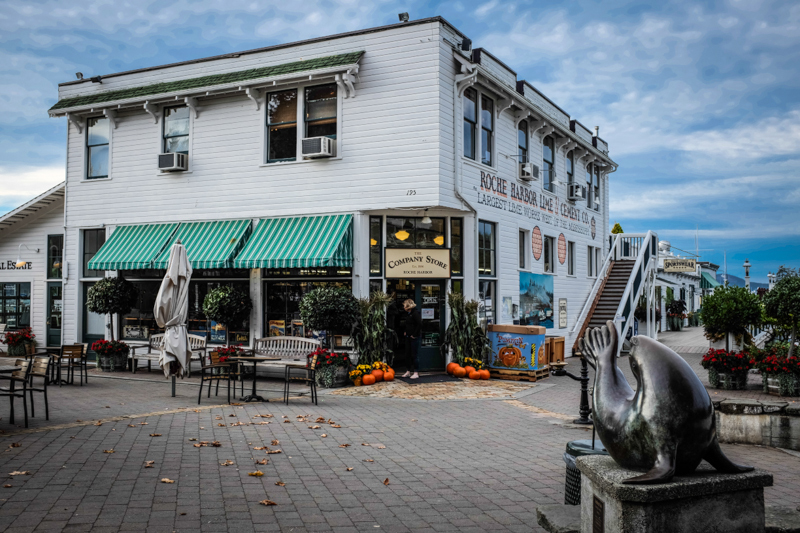 In 1881 two brothers, Robert and Richard Scurr, bought Roche Harbor and started the islands' lime industry. 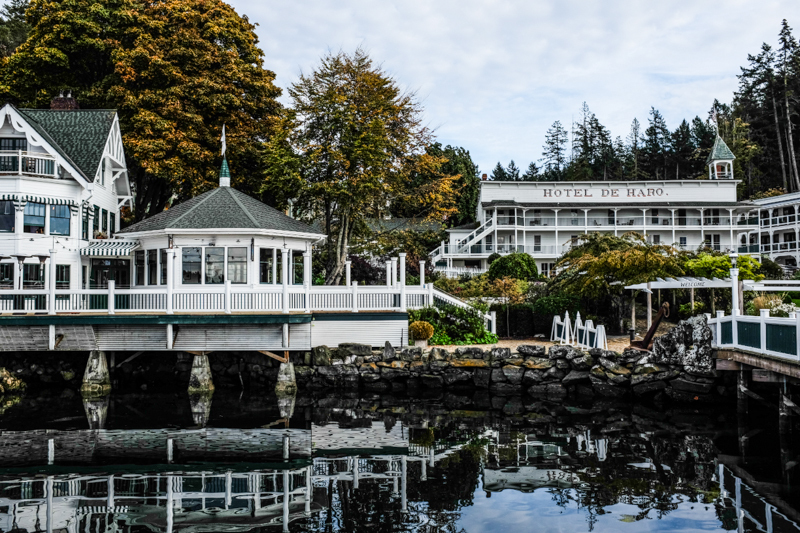 There was no town at Roche Harbor until John S. McMillin, a Tacoma lawyer, discovered the richest and largest deposit of lime in the Northwest and began negotiations for their claims and property in 1884. By 1886 the Tacoma and Roche Harbor Lime Company was incorporated and becoming a large-scale American business. This chapel was built for the McMillin family as a Methodist Church in the late 1800's. It was also used as a schoolhouse for the company children. After the Tarte family bought the resort in 1956 the chapel was refurbished and dedicated as a Catholic Church. It is the only privately owned Catholic Church in the United States. Alrighty, enough history for tonight. 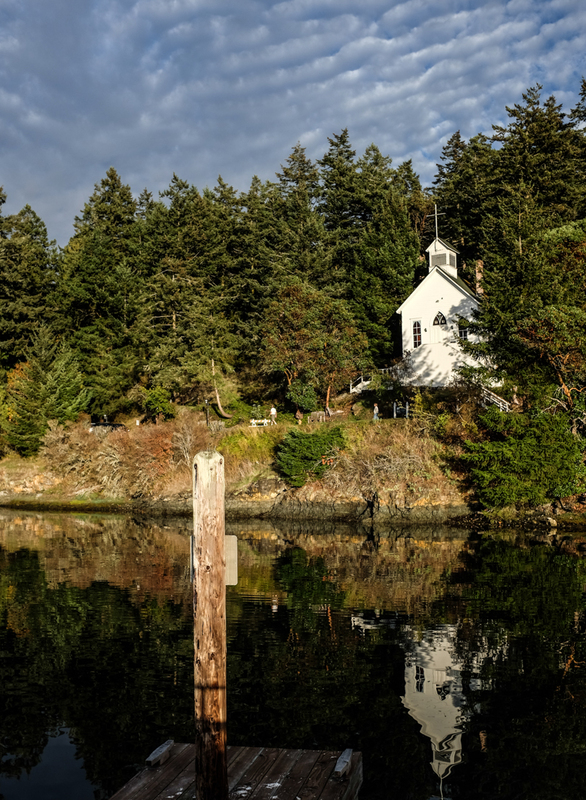 We're going to make some dinner (smoked oyster and clam chowder with a salad) and we plan to head up the hill to check out the mausoleum in the morning (apparently a "can't miss" attraction of Roche Harbor). We'll probably grab breakfast at the Lime Kiln Cafe too, before heading back to Anacortes.